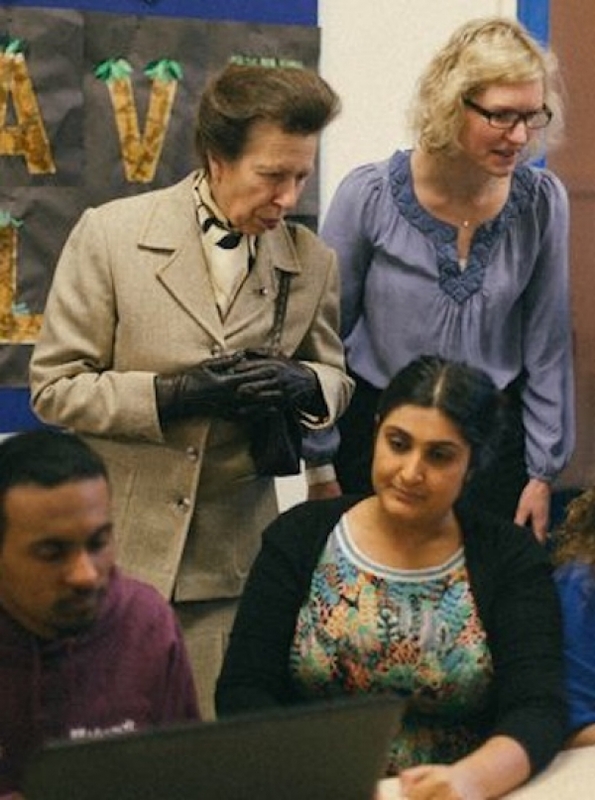 On 3rd March 2015, HRH The Princess Royal, Patron of UK Youth, visited The Sulgrave Club in Goldhawk Road – one of the Microsoft IT Youth Hubs to see first-hand how this innovative programme is enabling young people to have an impact on their peers and the wider community. Microsoft IT Youth Hubs are youth projects that are being supported by Microsoft and UK Youth to upgrade their digital resources and train young people to become peer educators in digital literacy. During her visit to the Sulgrave Club, The Princess met the Club’s ‘IT Champions’ – the volunteer peer educators who are enabling others to gain valuable ICT skills that will benefit them at home, in their education and in their careers. As part of the visit, The Princess enjoyed a video presentation, in which the IT Champions gave an insight into their experiences of driving the project over the past 14 months. Their stories demonstrated how, with training and ongoing support, young people can make a difference through peer education – on their peers, their communities and for their own development. With support from their Microsoft Mentor, Vikas Aurora, and a Microsoft Partner, Information Management Consultancy AIMII, the Club has delivered weekly IT sessions ‘in-house’. Furthermore, Sulgrave has consistently and successfully run an outreach programme with local schools, youth clubs and local businesses – and also shared their digital know-how with older people at a nearby residential living complex. In their conversation with The Princess, Club staff were able to describe how the Microsoft IT Youth Hubs initiative has helped to build young people’s confidence and skills by providing a focused digital engagement programme, alongside mentoring from sector professionals. 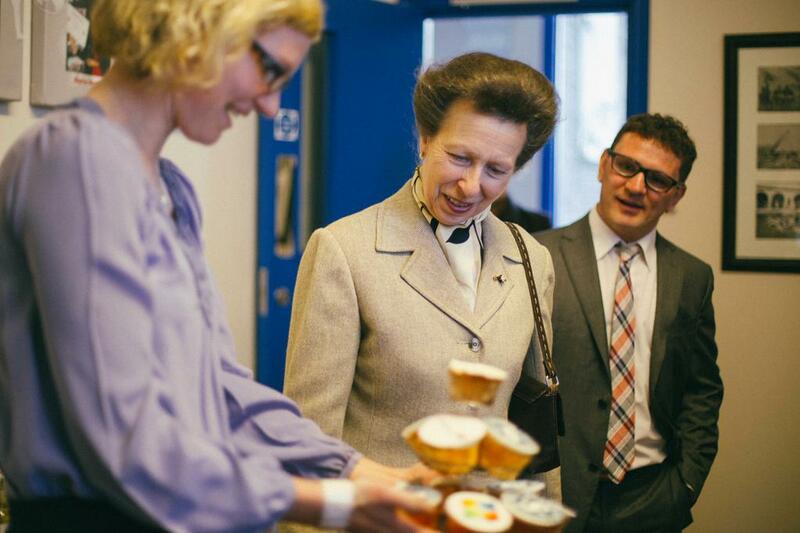 Anna Smee, UK Youth CEO, commented: “We’re honoured that HRH The Princess Royal joined us at The Sulgrave Youth Club to see the Microsoft IT Youth Hub in action. “As Patron, The Princess has always been keen to find out about our work on the ground. We are delighted that she was able to visit Sulgrave, so she could see, first-hand, our latest work supporting local youth clubs to engage young people on issues important to them.